Blizzard has confirmed that an upcoming patch will introduce player-versus-player (PvP) combat to its best-selling action role-playing game (RPG) Diablo III. 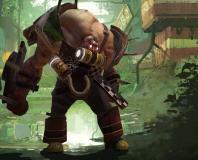 While previous release of the game had included the ability to attack, kill, loot and even remove the ear from other player characters, Diablo III launched without such antisocial functionality. For those who miss the feature, fear not: patch 1.1 is to reintroduce the concept to the universe. According to details released by Blizzard, Diablo III 1.1 will switch on player-versus-player combat for the first time in the game. 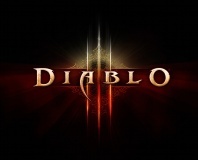 As with previous titles in the series, it will include anti-griefing functionality to prevent high-level characters hunting low-level players for sport, and will likely include the same grisly trophies - severed ears - as Diablo II. While the balancing fixes and PvP combat additions of the upcoming patch will be popular, they will likely do little to address the tide of disappointment the buggy launch of the game brought to many. Blizzard's decision to include always-on internet-based digital rights management (DRM) technology, even in single player mode, left launch-day buyers unable to play their game as the company's servers crashed under unanticipated demand. Despite the early niggles, Diablo III is proving popular: last week it was announced that, with over 3.5 million copies sold on its first day, the game has entered the record books as the fastest-selling PC game in history. Company finally caves in to critics. Blizzard has admitted that security measures added to Diablo III are stopping some players progressing past Act I and level 13. What sort of impact does Paradox's Krater have on us? Find out in our review.